Extraordinary interest in this original one-woman, one-act drama has led to opportunities for Maggie to present the life of Mary of Nazareth over 200 times throughout the United States as well as overseas. 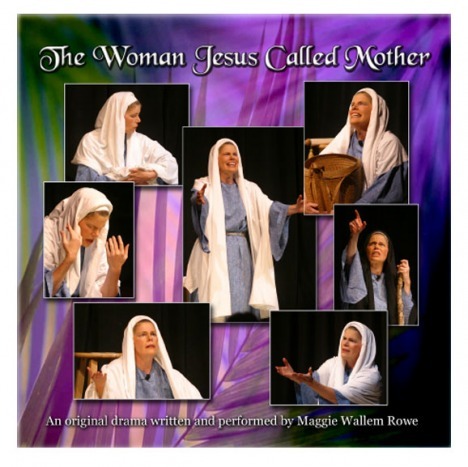 This dramatic presentation, which includes original arrangements of Hebrew folk music, allows audiences to meet “Mary” in 14 different scenes over the course of her life – first as a young girl growing up in an observant Jewish home in Nazareth, and finally as an elderly woman looking back over her son’s life and the meaning of his birth, death and resurrection. Since the emphasis is not on Mary herself but on Jesus as both her son and her Savior, the play is a vehicle for effective outreach to those from Catholic, Protestant, Jewish or unchurched backgrounds. for Jill Briscoe’s web site, click here. To download a DVD order form (.pdf) please CLICK HERE. To download a .PDF with additional information, please CLICK HERE.